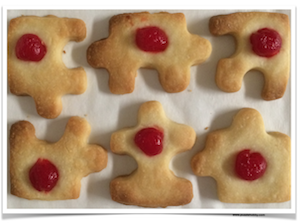 Yes...I am just about willing to try anything when it comes to jigsaw puzzles so why not jigsaw puzzle cookies too! 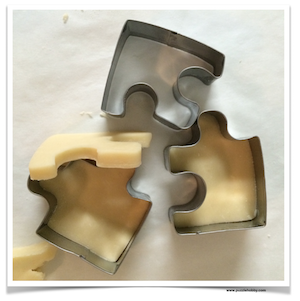 This was a real fun jigsaw puzzle project and tasted delicious if I do say so myself. 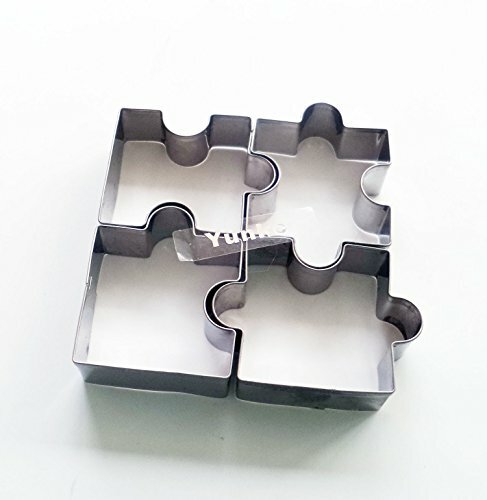 They were a big hit in my house. And even I was impressed with the taste seeings how I dislike the kitchen much less baking too. 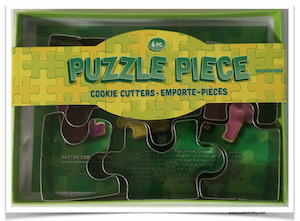 I was very lucky to locate these the jigsaw puzzle cookie cutters and baked the following cookies for Christmas. 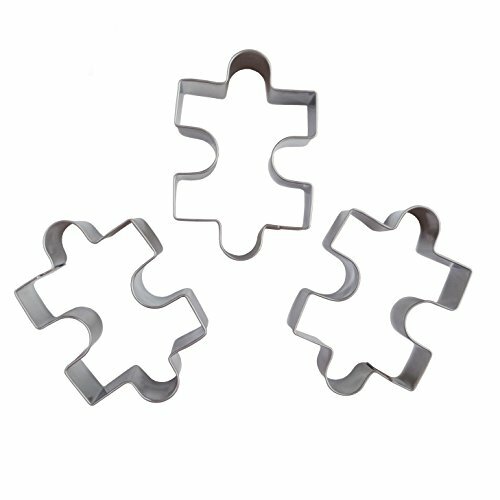 This is by far THE most delicious shortbread cookie recipe I ever tasted.....feel free to give it a try even without the jigsaw puzzle cookie cutters. Look below for the link to download a printable copy of this recipe. 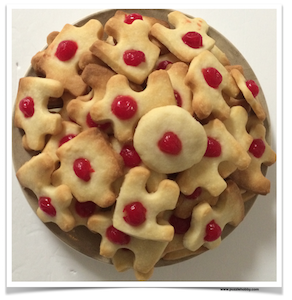 Maraschino cherries or baking gums for the centers (optional). Roll the dough out to a little less than ¼ of an inch on a lightly floured surface. 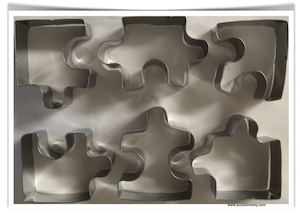 Use a 2 inch cookie cutter (or holiday shaped cookie cutters) to cut out the cookies.